Yet another wonderful stay at Hideaway Cottage, Craster. Every time we visit there has been another improvement or update. It truely feels like a home from home to us. Perfectly positioned for exploring the area. Cosy, spotlessly clean and well appointed. Thank you for your fantastic 5* review! We are glad you enjoyed another stay at Hideaway Cottage and find it a real home from home. We look forward to welcoming you back in the new year! The cottage was perfectly located within yards of the harbour at Craster, which is a lovely place just to sit and take in the views. 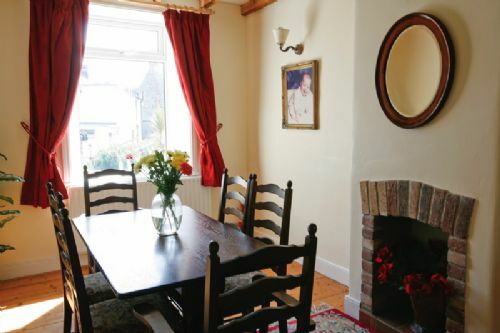 The cottage is very well furnished with separate lounge and dining room. The garden is separate from the cottage just 30 yards or so back down the lane next to the allocated car parking spaces. From the cottage you can walk to Dunstanburgh Castle and beyond to the lovely beach near Embleton. The location is excellent for touring Nortumbria and we went as far north as Berwick and down to Morpeth. Highly recommended. WOW! Thank you for your fantastic 5* review! We are glad you enjoyed your stay at Hideaway and made good use of its ideal location! So many different walks to choose from. We hope to welcome you back in the future. Although 'Hidden Away' from the busiest route to Dunstanburgh Castle you still have great views over Craster Harbour which is only a few metres away. The property itself is well-equipped, beautifully kept and spotlessly clean. A gem. Thank you for your lovely review. We are glad you enjoyed your stay at Hideaway and hope to welcome you back in the future. We much enjoyed our stay in this most comfortable cottage in charming Craster. We were blessed with wonderful weather throughout our week. The highlight was Alnwick Gardens and Castle. The welcoming bottle of wine was much appreciated. If you want peace and quiet this is the place to come. Craster is a great centre for coastal walks and their famous kippers. Many thanks for your 5* review! We are glad you enjoyed another stay at Hideaway Cottage. Craster Kippers are perfect for breakfast - even better when you can buy them that morning from the smokehouse up the road! We hope you plan on returning to Hideaway Cottage in the future, thanks again! I've lost count of the number of times we have stayed at Hideaway Cottage and every time we visit the property has been improved in some way. The cottage is excellently maintained, always spotlessly clean, warm and welcoming. The only problem we ever have is having to leave! Delighted you enjoyed another stay at Hideaway Cottage. As you know and appreciate, the owners treat this as their home and lovingly maintain it. We hope to welcome you back again next year. We keep coming back - it must be good!! This cottage has everything we need - party of five female adults. Just a minor gripe. Please could the lighting in the living and dining rooms be improved? We read, knit, cross-stitch and play board games and struggle to see!! Dimmer switches maybe? Thank you for returning to our "hideaway". Great to hear you enjoy staying there, your comments about the lighting will be passed onto the owners. We look forward to welcoming you all back again in the future. Ideal location with fantastic views of the harbour. The facilities were excellent, everything you need without clutter, it was also lovely and clean. Its nice to have a cottage without clutter, so you can move in for the holiday. Thank you for the lovely review. The owners do take great pride in their "Hideaway" and make it an excellent holiday home. Hideaway Cottage is amazingly placed with fantastic sea views and the sound of the waves as you fall asleep. The cottage is much more spacious than would appear on the photos and 5 of us had plenty of room to eat and relax. The kitchen was very well resourced with utensils and crockery - much better than many cottages we have stayed in. The beds and duvets were very comfy and there was lots of storage space for clothes and belongings. Many thanks for your review. Hideaway Cottage as you found has great sea views. The cottage is very well looked after & maintained as you found. We look forward to welcoming you back in the future. Best Regards. 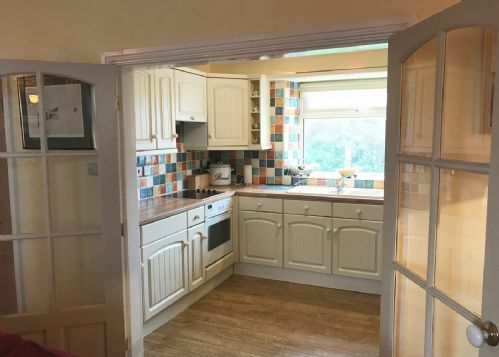 This is a nice, homely cottage with everything you need provided. There is a sea view and the location is handy for everything the village has to offer. Great base for exploring the Northumberland coast. Thank you for appreciating this wonderful cottage and the surrounding area. Our third visit to Craster. Second time in Hideaway cottage. Love the village and love the cottage. Just wish the weather was as lovey! Sorry we cannot control the weather but pleased you enjoyed your second stay at Hideaway Cottage. We look forward to welcoming you back again in the future. Thank you for the review and recommendations which have been noted. Hideaway cottage, like the whole of the area, never lets us down. Wonderfully cosy. Spotlessly clean. Brilliant facilities. We have visited many times and will continue to do so. Thanks again for a fantastic holiday! Delighted to hear you had another wonderful holiday staying at Hideaway Cottage. It is truly a "home from home" and the owners are very proud of it. We look forward to welcoming you back once again. Excellent location and very comfortable and clean with everything you might need. Hideaway cottage is a real home from home. The owners do use Hideaway Cottage as a home from home and want that their guests feel the same. So pleased you enjoyed your stay and many thanks for the review. This was our sixth stay at Hideaway Cottage and every time it gets better. We can't imagine a more welcoming and comfortable place to stay. 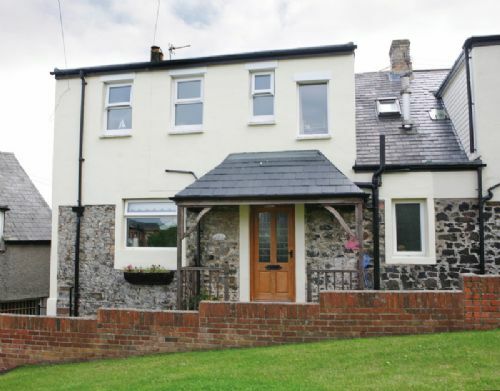 The cottage is very well maintained and has had something added or updated to improve the property each time we return. 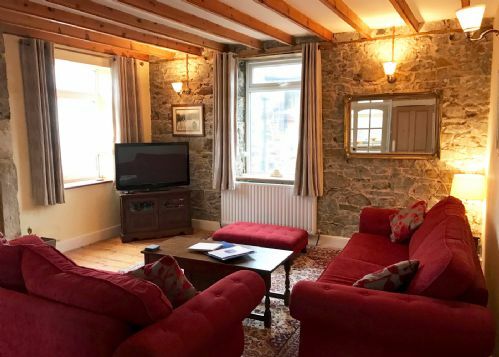 Always clean and tidy, well appointed, warm and cosy, it's difficult to imagine a more perfect spot for a relaxing getaway. Hideaway is definitely our ideal holiday cottage. Thank you for this fabulous review and recommendation. The owners of Hideaway take great pride in their cottage and use it themselves. We look forward to welcoming you back once again next year for another relaxing getaway! Spent a fabulous week sampling the many delights of Northumberland. Cottage in an ideal location with harbour views. Warm, comfortable, clean, well equipped and a real home from home. The only downside for us was that we could not bring our dog, but appreciate the reasons. Delighted that you enjoyed your holiday in Northumberland and your stay at Hideaway Cottage. It is our home from home too. We have stayed here a number of times and after a couple of years absence (due to it being booked on the dates we required) it was good to return. 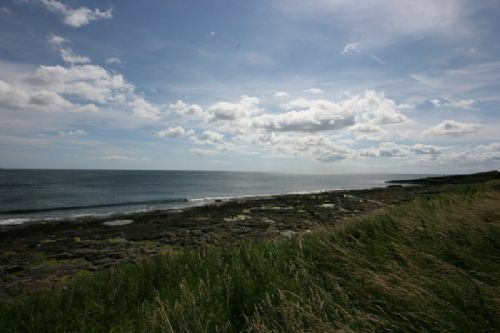 The location is ideal for travelling up and down the coast and visiting all castles and glorious beaches in this area. 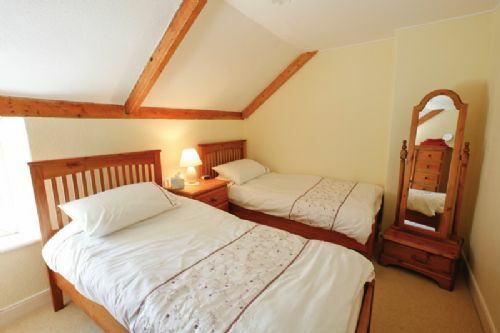 The bedrooms are perfect for our party - 2 twin and 1 double (used as single). 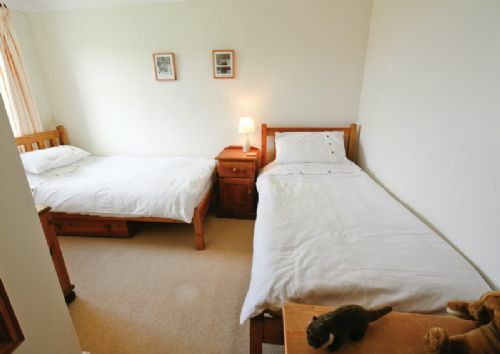 Too many holiday lets have double beds which are no use when you holiday with friends! Really well equipped and comfy house. Great to have you back again! Hideaway Cottage is a lovely comfy cottage and is very popular as it is in a superb location. Hope to welcome you back again next year. Hideaway cottage lived up to its name, being a haven of peace. We went for a week of relaxation and to chill out and this was fully accomplished. It was unusual to be removed from modern technology whilst being in the cottage, with the exception of the Tv and land line but it was surprisingly enjoyable adding to the loverly week we spent there. The cottage was very well cared for, lots of nice touches, provided everything and more that you require. Thd owners showed generosity with their provisions and nothing was overlooked. It is very central for local travel for the East Coast towns and villages, nice local walks and overall a very nice week. A great base for a memorable holiday. Once again, Hideaway Cottage proved to be a perfect base for a magic holiday - well positioned in the village and so well equipped. What more could you ask for?? We are delighted you enjoyed your second visit to Hideaway Cottage and we would be delighted to welcome you here again in the future. A gem of a cottage. Spacious and comfortable with lovely accessories. Waking up to the sunrise over the harbour was a delight. Space to park two cars was a bonus. We had a lovely week in beautiful Craster. Many thanks for leaving such a lovely review, the owners are really pleased that you had enjoyed your week at Hideaway/Craster. We very much look forward to welcoming you back in the future. We have stayed in Craster before and love the quiet harbour village. This property is a few yards from the harbour and there is a view of this from the living room and main bedroom. Everything was in good order and the house was comfortable and well equipped. 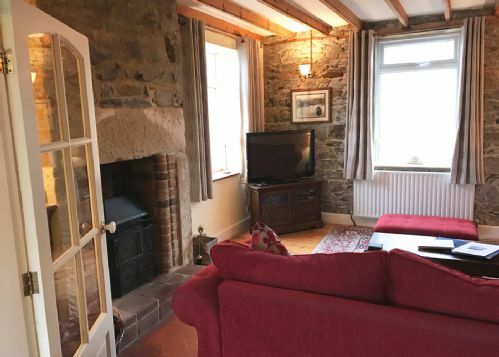 The main plus is definitely the location with Dunstanborough castle just a short walk along the seafront and easy walks in abundance. It is well positioned to explore the Northumbrian Coast. It is worth knowing there is a bus service along the coast if you only want to walk one way. The Jolly Fisherman provides good food and a welcoming atmosphere. The Craster kippers make a delicious breakfast! If you like fresh air and the sound if the sea, this is a place for you. 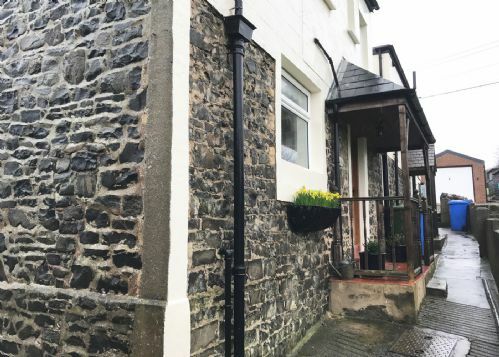 Well kept, spacious and cosy character cottage in great location in the village. Lounge is very comfortable, nice to have a large, flat screen TV too. Wi-fi would be good as there is no mobile signal in the village. Sea views from lounge and bedroom is really nice. 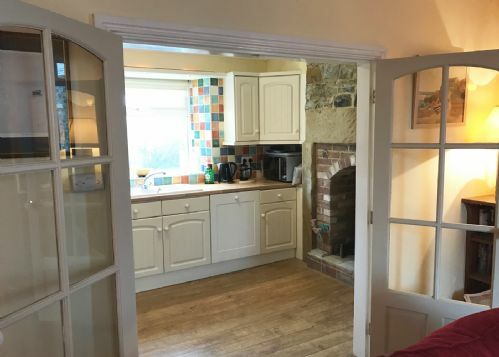 Beautiful old spacious cottage in a lovely village. We had a great stay despite the rain. It was warm and cosy, showers worked well and has a bath. Second toilet and shower really handy for big families. My two gripes are - no wifi, we paid £6 to join a BT fon for 24hrs - don't bother it didn't work at all. No salt and oil for us disorganised folk. ( It's a long way to the supermarket from here). Overall would definitely go back to this cottage. Hideaway Cottage provided the perfect home for our holiday. It was a warm and cosy retreat at the end of each cold April day. The logburner provided a comforting centre piece, but the house was already toasty without it. We found it tastefully presented and spotlessly clean. 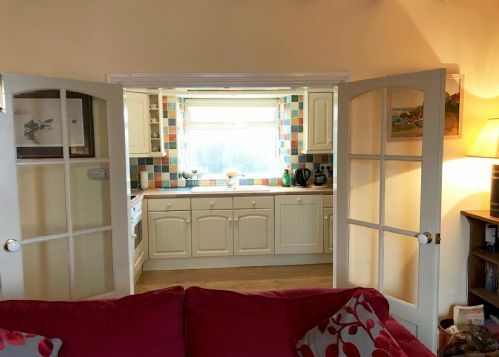 The kitchen was very well equipped and the personal touches around the cottage made it feel loved and homely. On our arrival we were greeted by a vase of daffodils and a bottle of wine, and this attention to detail was evident in all the little extras that had been left to set us up (eg. first dishwasher tablets, washing up liquid, handsoaps, initial supply of logs etc). We would not hesitate to return. Thank you to the owners and caretakers - great job! This was our fourth visit to Hideaway cottage. 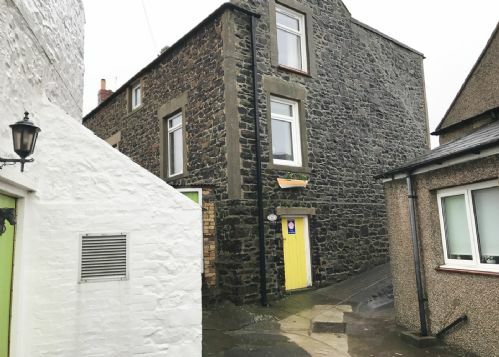 The cottage is perfectly located in Cratser, great for endless coastal walks and kippers. Hideaway Cottage is clearly a second home for the owners, has plenty of space and has everything most people would want for a holiday. Where else could you find a cottage so close to such wonderful coastline or within earshot and sight of the harbour. For some the lack of mobile and internet signals might be a problem, for us it was a bonus, a complete break! Excellent accommodation in a wonderful location. Our fifth stay in as many years at Hideaway cottage and we will definitely return. A lovely cosy home away from home. Many thanks for another great stay. A lovely location in a lovely village, perfect for our family holiday celebrating Mrs B .. birthday. All facilities excellent, like home from home, did not miss Wifi or phone signal, perfect peace. Arrived at the cottage but unfortunately the owner had left the wrong key for us and we could not get in! This experience makes you realise how much you rely on mobile phones and with no reception in the village had to drive a number of miles to contact the owner. Then a major struggle with the key safe but after 4 of us trying to sort it suddenly opened and we were able to get into the the warmth. 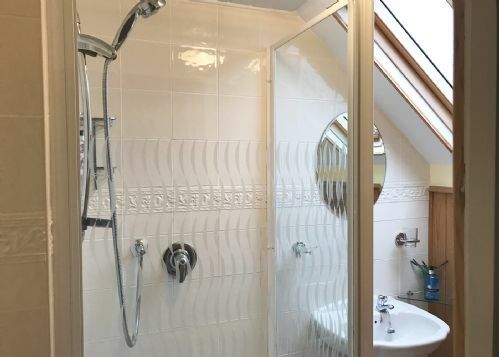 The cottage is large and can easily accommodate 6, with bright clean bathroom and shower room with lovely plump towels. I did feel that the cottage had had a busy summer and a bit of general maintenance and a thorough clean of the kitchen would have helped. However this did not stop us enjoying our great week in Craster and the large television came to the fore when the weather was just too wet to go walking. The location the cottage is great with views of the harbour from 2 of the rooms which let us easily access the facilities of the local pub and rastaurant both of which we would recommend. All in all a good week. 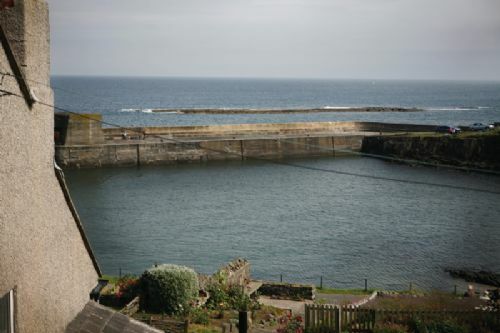 Hideaway Cottage is well situated in the tranquil village of Craster and is in a good location for exploring the Northumberland coast. 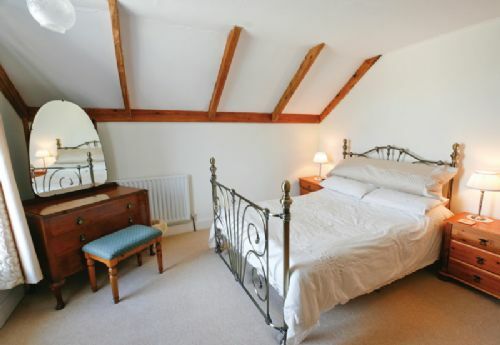 The cottage provides ample accommodation which is well furnished and comfortable. Most worthy of a further visit. Craster was a peaceful jewel. The surrounding countryside provided interest and beauty. The cottage itself was very well situated in the village and perfectly comfortable. We shall be back! 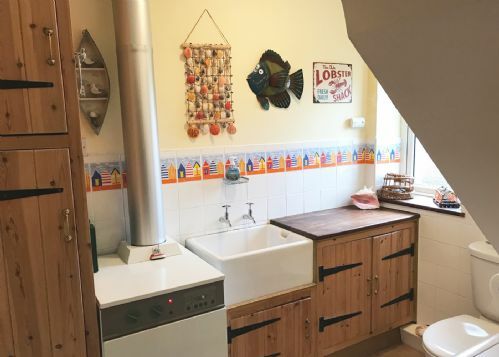 A very comfortable cottage in an excellent location with harbour views. We will definitely stay again. This is the fourth time we have stayed at Hideaway cottage in as many years. I think that says it all really as we don't give repeat business to places that aren't up to scratch. Lovely cottage in a fantastic location. We had a lovely time, great locations, comfortable cottage. Would really have liked WiFi, especially as there is no mobile phone reception in the property. 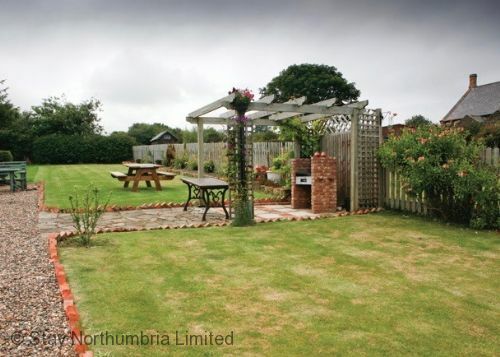 Hideaway Cottage is an excellent place to stay should you wish to visit Northumbria. Apart from our failure to figure out the location from the instructions given, everything else was great. A brief issue with the hot water was quickly resolved without fuss, and no further issues were experienced. It's lovely to wake up and to be able to look out over the harbour, whilst there's ample parking for about three cars - even if you have to hunt around to identify the spaces! The garden's handy and huge with a barbie and adequate seating. The house itself is well equipped and well designed for its task. The payphone in the house was initially off putting, but after a day or so it dawned on me what a good idea it was, given the lack of mobile reception in the area - you can forget taking calls for much of your time there, unless you travel further afield. The owners were helpful when needed and their courtesy can't be faulted. Craster itself remains charming, although I would suggest that you avoid the Jolly Fisherman if you plan on eating. It's expensive, to say the least (in my opinion). Other than that, it's a great base for exploring the north east of England and southern Scotland, so make the most of it. Overall, very pleasant and excellent value for money. Recommended without hesitation. Hideaway Cottage was a lovely clean, comfortable place to stay in a fantastic location. We had all that we needed and were pleased with the wine and extras, like tea bags, condiments, washing powder, toys, books etc. The cottage was very clean and comfortable. It was great being able to go for walks from the front door and to wake up to the sound and sight of the sea! For us the only slight downside was that the garden wasn't right outside so we couldn't sit outside in the evening when the children were asleep. Having said that, we used the garden for barbecues, running around and hanging out washing. Overall, a great cottage that was good value for money. 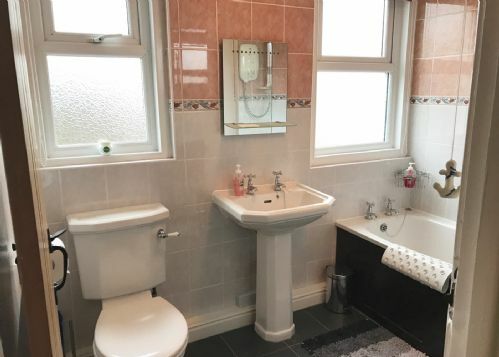 Great property in great location. The property had everything we needed. All the rooms were of a good size. The house benefited from a good size kitchen which was well equiped.